Fundraiser by Brian Bartolome : Support The LV Sportz Foundation! Support The LV Sportz Foundation! 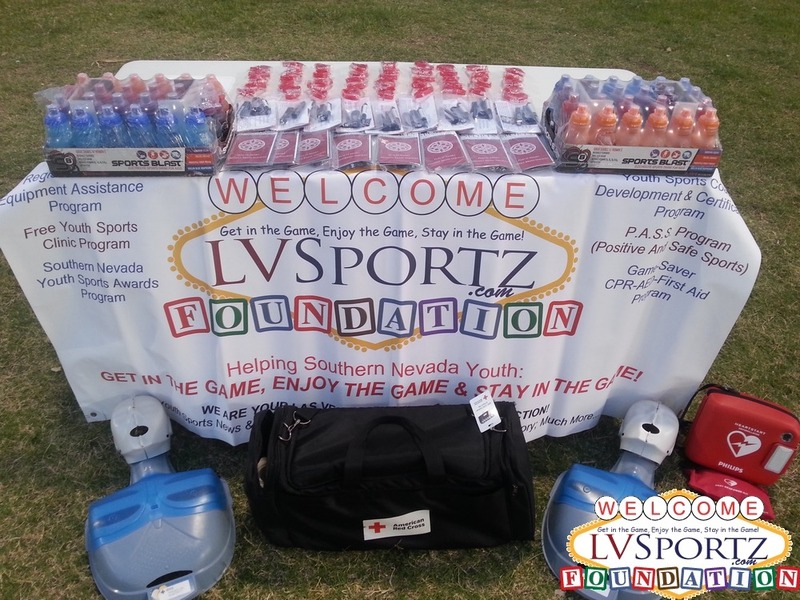 The LV Sportz Foundation is a multi-faceted Nevada non-profit charity organization. 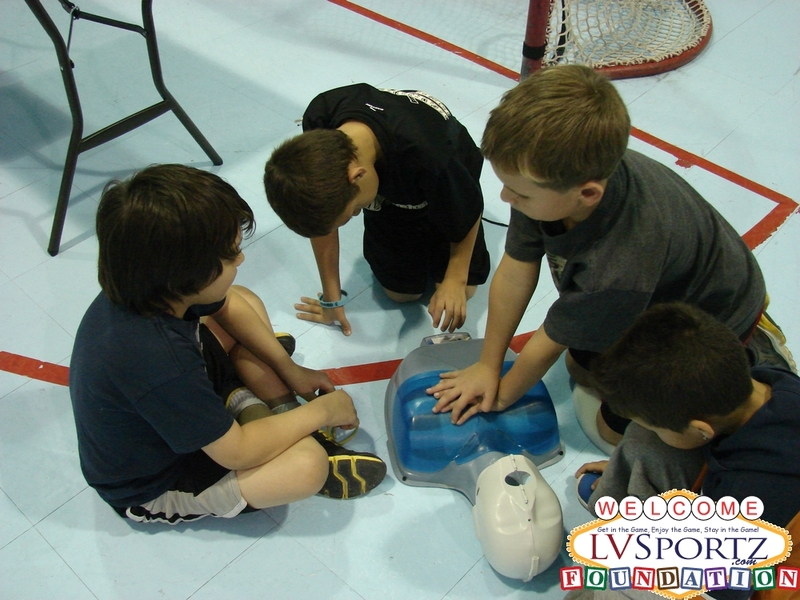 We strive to ensure local youth are safe from life threatening/changing injuries and illnesses, such as Sudden Cardiac Arrest and Concussions, that can be prevented by providing: life saving screenings, life saving equipment and life saving training; to help those who are injured to recover quickly without family financial strain; to ensure that every youth is afforded a chance to play organized sports and to be able to do so in a positive and safe environment regardless of family financial standing in an effort to keep them healthy, off the streets & out of trouble while receiving important life skills and lessons. We are a recognized 501c3 Tax-Exempt Organization! Your Donation to Us is Tax-Deductible! We rely strictly on donations from people like you. We do not charge for any our programs or information and we don't sell anything. We Have Some Amazing Opportunities To Help Make A Difference in the Lives of Hundreds of Las Vegas Youth But We Cannot Do It Without Your Help! · Held 1 awards event where we recognized and honored a dozen youth athletes and coaches for excelling in school, sports and in the community. 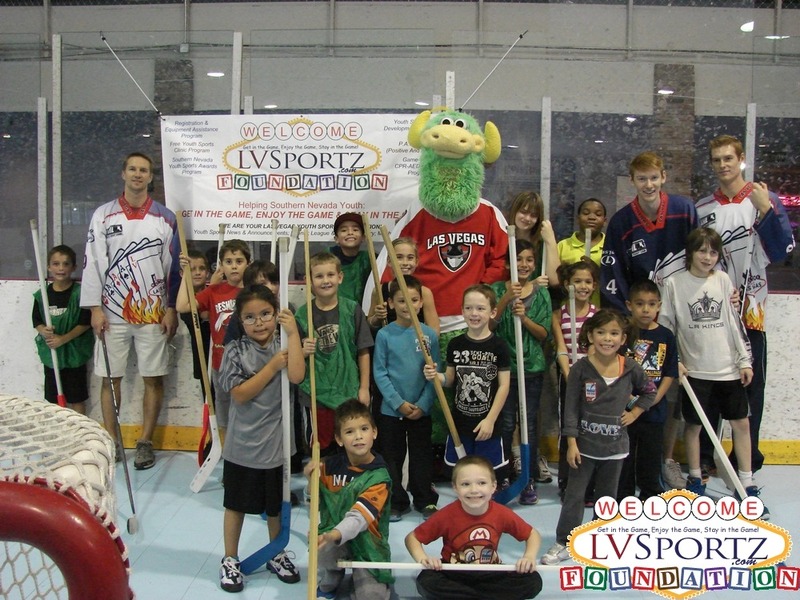 The LV Sportz Foundation was formed and incorporated in 2012 and received its 501(c)3 status in November of 2014. While we can serve our programs statewide, the majority of our service is in Southern Nevada (Las Vegas, N. Las Vegas, Henderson, Boulder City, Laughlin, Mesquite, Pahrump, etc…). Since 2012 we have been working with very limited funding which has limited us from doing more than we can do. In FY2013 we only had Revenues of $32.50 and for FY2014 we had Revenues of $1,361.50. FY2015 we reached $4,339. Luckily we have been fortunate enough to have found some great program partners to help us with logistics for some of our program related events but even that has been extremely limited. To be able to truly move forward and make a bigger impact in our community we need funding for our programs. Each of 5 main programs has a budget goal of at least $25,000 ($50,000 for our GameSaver Program) to be truly effective. If we can do what we have been doing with little funding, imagine what we can do with more financial support from a people like you! As both coaches and parents, we have seen an increase in the number of children who are turned away from having a chance to participate in youth sports because the parents just can't afford it. The costs for registration, equipment and uniforms have increased dramatically over the past decade. While the leagues try their best to keep costs down, the fees incurred by the leagues are always being increased. Things such as insurance, field and referee costs have gone up substantially and all are necessary to run a league. Coupled with the current economy, it has made it hard for leagues, coaches and parents alike. The goal of this program is to ensure that parents, coaches and athletes are given the proper tools to provide our youth with a positive and safe sports experience. From positive sports tips to the awareness and prevention of serious sports injuries in youth athletics we can help to keep our children active for life! Positive Sports - Enjoy the Game! Parents, athletes and coaches can find information on having or providing a positive environment in local youth sports. Safe Sports - Sports Safety Awareness & Prevention. Parents, athletes and coach will find a wide-variety of sports safety issues that affect our local youth sports community and information on how to recognize and prevent them from happening or getting worst. 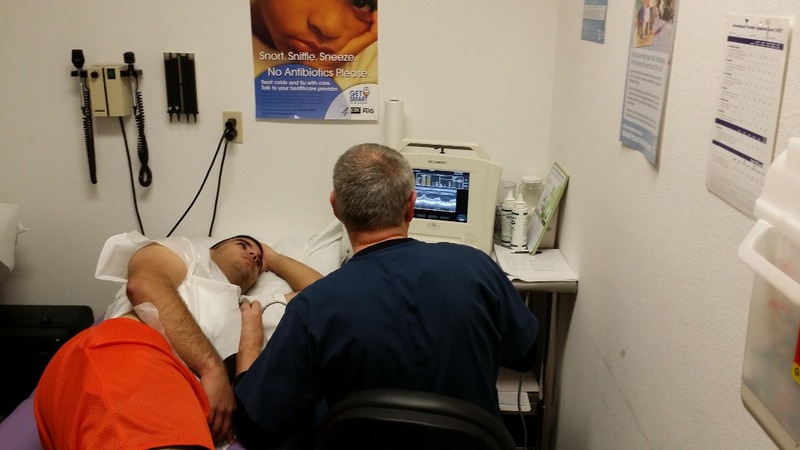 AED Loaner Program so local sports organizations can have an A.E.D. on-hand and we are working on a High School Athlete Program. It also provides youth athletes with free, Sports Physicals, Heart Screenings using ECG/Echocardiograms, Baseline (Pre-Concussion) testing and several other things. P.A.S.S. Community Outreach - Spreading the Message! We take a proactive approach that takes us out to local sports teams, leagues, schools and community events where we interactively speak with parents and kids about positive and safe sports awareness and prevention. P.A.S.S. Coach Association - Ensuring Proper Experience's. PASS Coach Association coaches are coaches who have met a certain standard as set forth by LVSF. It ensures that the coaches coaching our kids have the training and tools needed to make the best of our children's sports experience's. Coaches must abide by a strict Code of Ethic; Are Members of a National Coaching Program; Recieve Verified Background Checks Every Two Years; are Certified in CPR, AED & First Aid; Must Complete an All-Inclusive Sports Safety Training Course; and complete at least 1 of 3 Positive Coaching Courses. A little recognition for hard work goes a long way! The awards honor local youth athletes and coaches below the High School level and recognizes them for their tremendous dedication, commitment and time to local youth sports and to the community as a whole. Youth Athletes of the Year are chosen not only for demonstrating great stats in their sport but for also showing excellent principles in teamwork, leadership, discipline, respect, sportsmanship, community involvement and a high or significantly rising grade point average. Youth Coaches of the Year are chosen for their overall Coaching Activities, Sportsmanship, Player Development (both on and off the field), Personal Coaching Development and their overall community involvement. Not every child can afford to join an organized sports program or they may just be unsure if a particular sport is right for them. 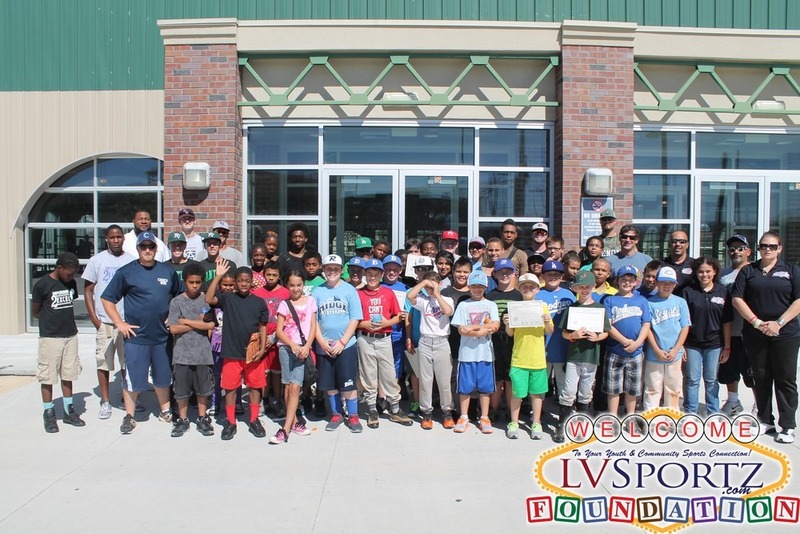 From time to time the LV Sportz Foundation will host various youth sports related events like Camps, Clinics or any Number of Community type events that involve youth and are almost always free or of little cost to our local youth. Your donation, no matter the amount, can make a huge difference for disadvantaged youth and to the youth sports in our community. From as little as $5 to as much as $100 or more, every little bit helps us to create an opportunity for ALL youth in our great city to enjoy a safer and more positive youth sports experience! Our goal is to raise $300 which means the campaign needs to reach $425 ASAP! We Need Your Help Again! We are Once Again in the Red and are danger of losing our website and Storage which holds our Echo Machines and Everythingwe use in our Free Sports Physical and Heart Screening Events! We Only Need to Raise $300 to get us by for a couple more months! Read and Share the Below Info! Join me in supporting a good cause! I'm raising money for LV Sportz Foundation and your contribution will make an impact, whether you donate $5 or $500. Every little bit helps. Thank you for your support. I've included information about LV Sportz Foundation below. Helping Southern Nevada Youth Get in the Game, Enjoy the Game & Stay in the Game! Founded in March of 2012, we are quickly leading the way to a more Positive and Safe Sports experience for our local children, increasing access to sports related activity and helping to secure the future of our community through our children today! Our current funding is low and we hate to turn kids away from a chance to participate in healthy exercise like sports! For this campaign we don't need to raise much but they more we raise the more kids we can help. A small donation of $25 is a great way to help when paired other small donations... for every $150 raised we can help, at the minimum 1 child... $1,500 minimum 10 kids... and so far! Our immediate right now is that $1,500 to help a minimum of 10 kids while our overall goal before March is $3,000 so we can help a minimum of 20 kids! Please help us to not turn any child away! Donate Right Now! We are at a critical time and we need everyone's help! Our funding is in the red, our programs are in jeporady, our website and more are on the brink of shutting down! We have a large donation of sporting equipment being donated soon that is to be given out to those in need but have nowhere to store it. We have an upcoming Free Sports Physical/Heart Screening on July 30 and are in desperate need of supplies and other logistics! PLEASE! WE DESPERATELY NEED YOUR HELP! WE HAVE REACHED OUT TO NUMEROUS LOCAL CORPORATATIONS ONLY TO BE TURNED DOWN! While the big local non-profits continue to rake in hundreds of thousands of dollars in donations, other small npo's like ours are struggling daily just to stay out of the red! We could do so much good with just an eighth of what these big npo's recieve! Please help to raise at least $5,000 as fast as possible! You are doing good things for kids. I'm glad I have been part of it. Its not much but I support what you do at LV Sportz! Keep up the great work with the kids! I challenge all FB users to meet my donation.